Whether you’re looking for somewhere to stow your boat during the winter months or you’re simply trying to clear up some more driveway space, you can trust that Midgard Self Storage will take great care of your boat for as long as you need. We know you’ve invested a lot of money and time into your boat, which is why we plan to take exceptional care of it while you are away and have it ready to go whenever your next adventure calls. For the best boat storage in your area, look no further than Midgard Self Storage. At Midgard Self Storage, our top priority is providing our customers with the exact storage space they’re looking for. In addition to traditional, climate-controlled, and boat storage, we also offer a trustworthy place to keep your favorite recreational vehicle. 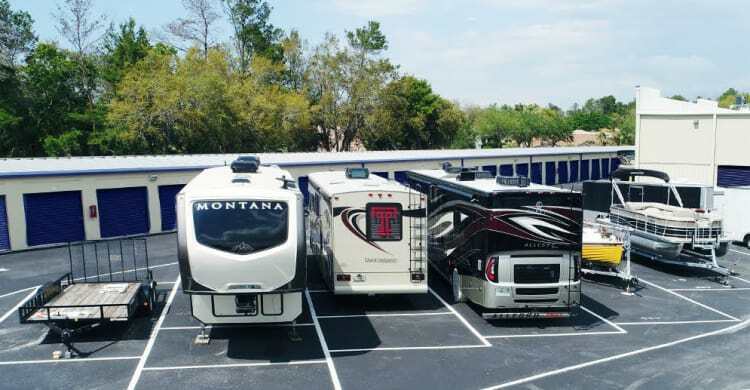 If your RV is taking up too much room in the side yard or your neighborhood association won’t let you park it on the street, you can trust that Midgard Self Storage has the space you’re searching for. Whenever you’re not on the road exploring the world and experiencing new things, we’ll take good care of your RV until your next road trip.